I remembered that i had some eggplant grilled leftover and so it came to my mind a good idea for a snack!! I love fresh bread, but I dont have time to go to the bakery everyday…so I buy it, cut into slices and put into a ziploc and freeze…so everytime I need it, i just put the slices into the toaster ….believe me it stilll tastes good! 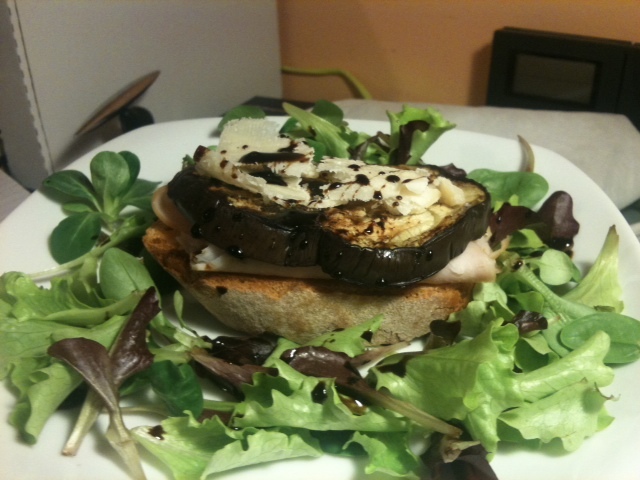 So… I defrosted 1 slice of bread, layed 1 slice of turkey breast on it, then layed the grilled eggplant on. 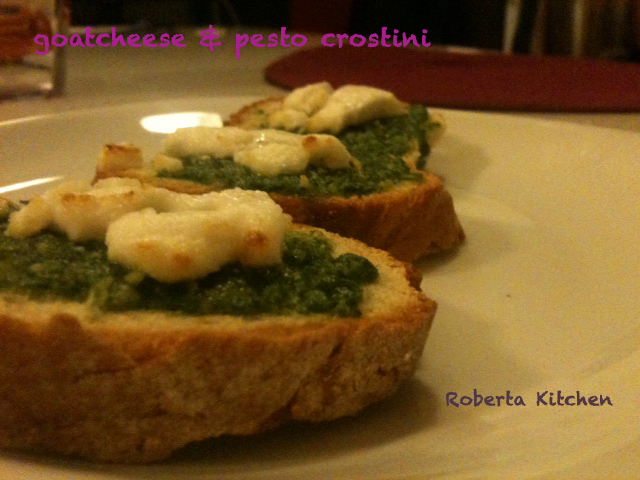 ok, now sprinkle the drops of sauce all over it and serve the crostino on a layers of fresh salad….